Caviar’s business is over-the-top devices. It’s the same company offering the Putin Ultimatum, an iPhone X with the Russian President’s face in gold, along with a cruise missile. Naturally, Caviar isn’t making its own iPhone X. 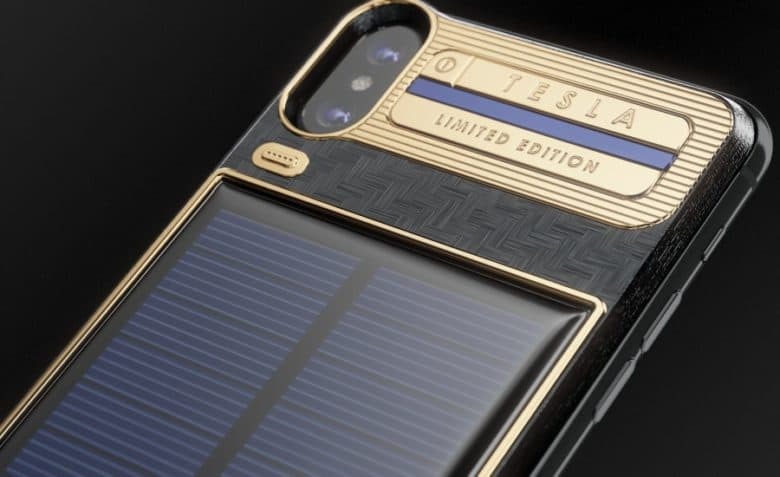 The Tesla is a limited-edition case for Apple’s smartphone. The back of the case has the product’s name embossed in electroplated gold. Most of the rest of the back is taken up by the solar panel. The company doesn’t say how quickly this solar panel can charge the iPhone. Caviar promises the panel is shock proof. Also unclear is whether the Lightning port is accessible when the handset is in Tesla case. The Caviar iPhone X Tesla can be ordered now on the company’s website. The 64 GB version is 284,000 ₽ ($4600), as mentioned. A 256 GB one is 299,000 ₽ ($4850). 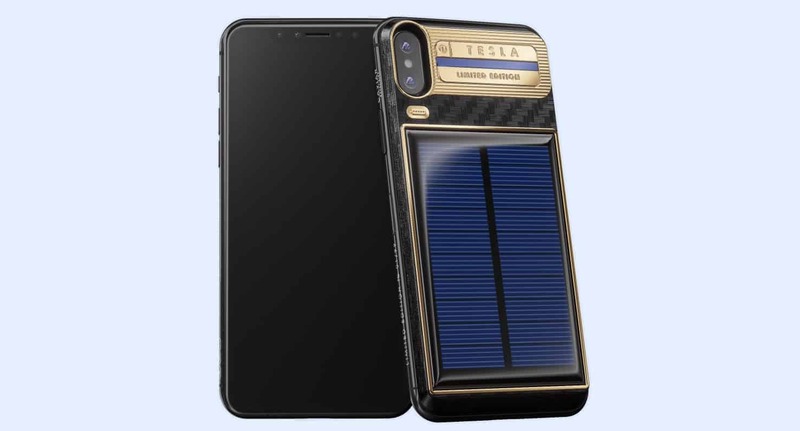 Check out the gold and lapis lazuli on the Caviar iPhone X Tesla.